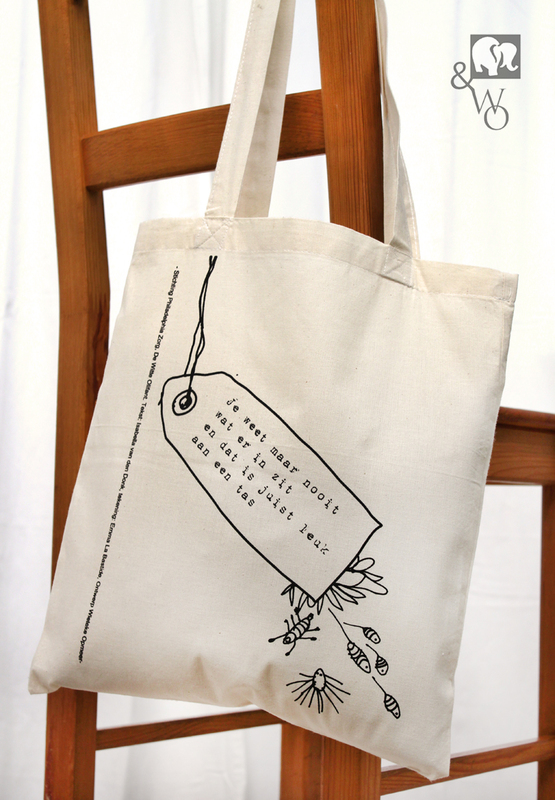 Graphic design of organic cotton tote bag. 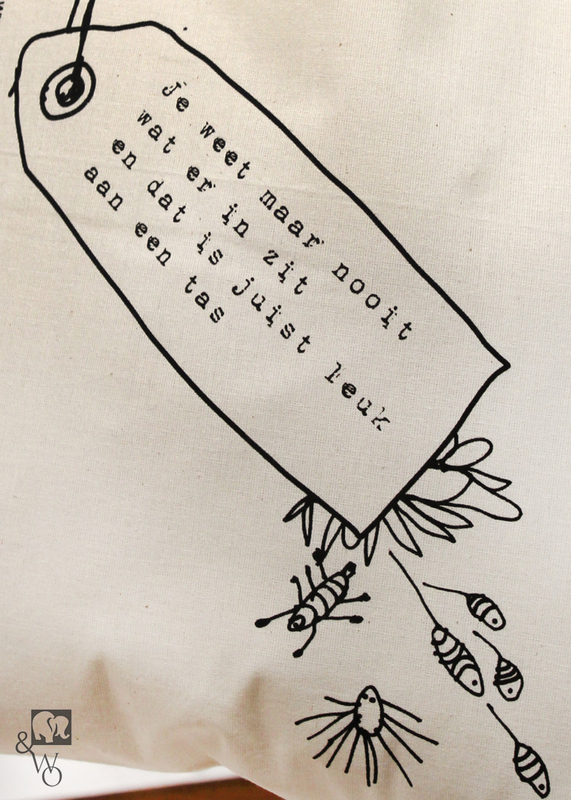 The design combined poetry and illustrations made by artists with (mental) disability’s from De Witte Olifant. commissioned by Philadelphia Zorg. For sale in the philadelphia webshop and De Witte Olifant.